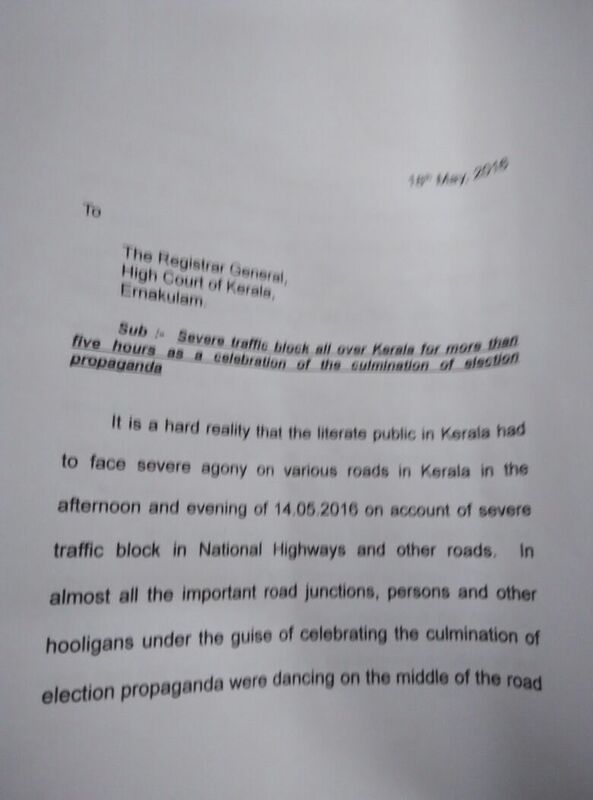 In connection with the road blockage caused by culmination of election propaganda celebration, a sitting Judge of the Kerala High Court ,Justice Kemal Pasha, has written a letter to Mr Ashok Menon, Registrar General of the Kerala High Court, requesting whether the same could be placed before the division bench to be considered as a Public Interest Litigation. 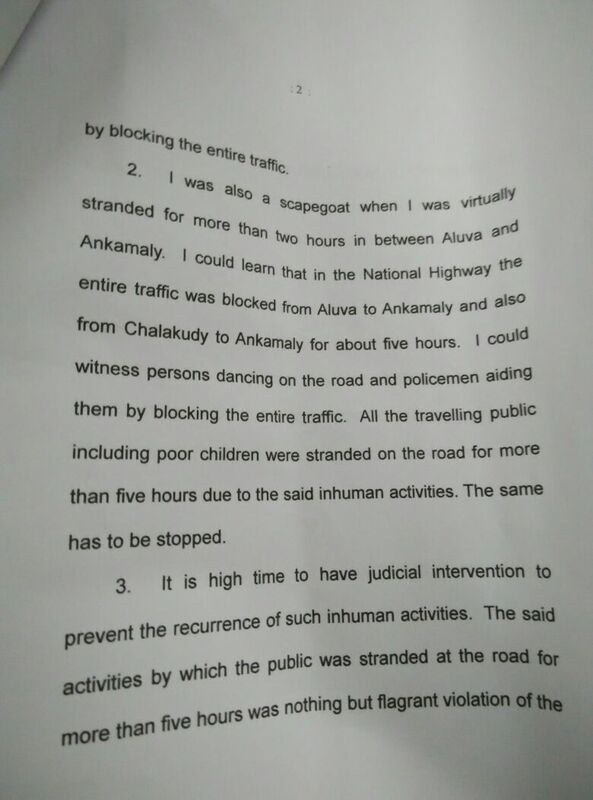 In his letter, Justice Pasha, who experienced the inconvenience due to culmination of election propaganda celebration and left stranded in the vehicular traffic, highlighted the grievance caused to the public due to road blockage which occurred due to the procession conducted by various political parties in lieu of culmination of election propaganda on 14/05/16. 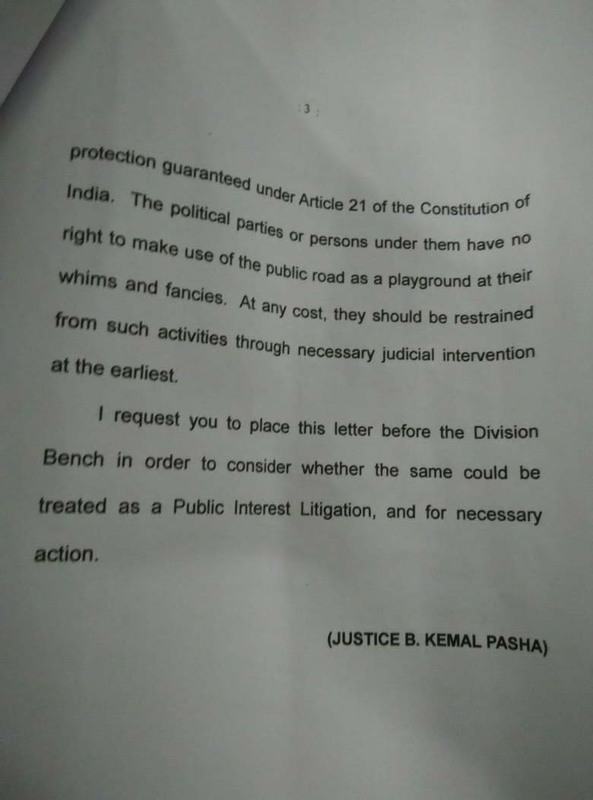 Seeking Judicial Intervention, Justice Pasha termed the above activities of political parties as a gross violation of fundamental right of general public guaranteed under Article 21 of the Constitution of India. He further mentioned that the political parties or persons under them have no right to make use of the public road as a play ground at their whims and fancies. He hence requested the Registrar General, Mr Ashok Menon, to place the letter before the appropriate Division Bench at the High Court to determine whether the same could be treated as a Public Interest Litigation. 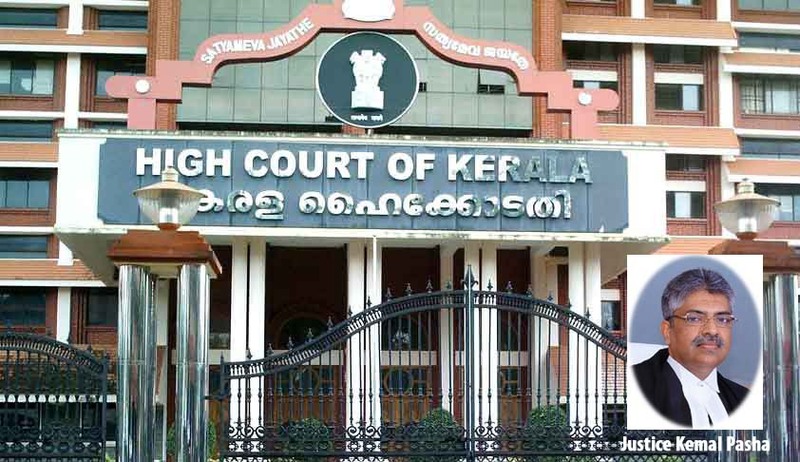 The letter shall now have to be placed before the Acting Chief Justice, Mr Thottathil B Radhakrishnan, to decide the further course of action in the above matter.